Who needs battery tab welding? 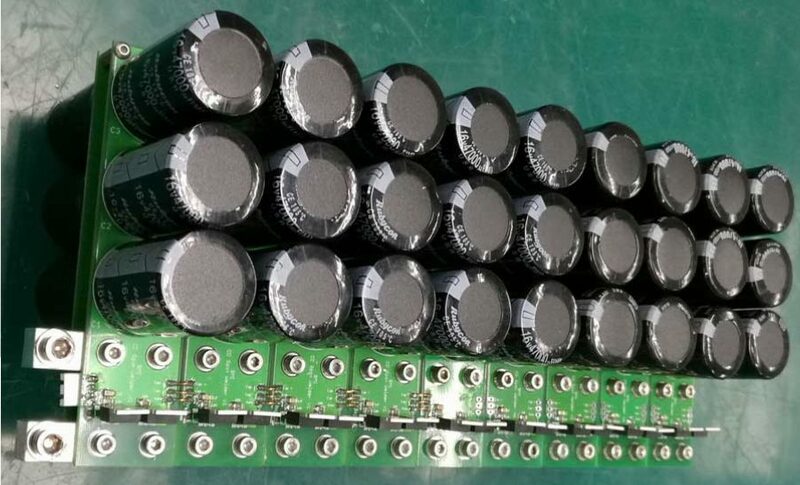 In the last few years, a lot of electric bike batteries & telsa cars if I’m not mistaken use 18650 sized lipo cells. 18650 cells weigh about 50g each and can hold anywhere up to and maybe a bit north of 13Wh per cell. 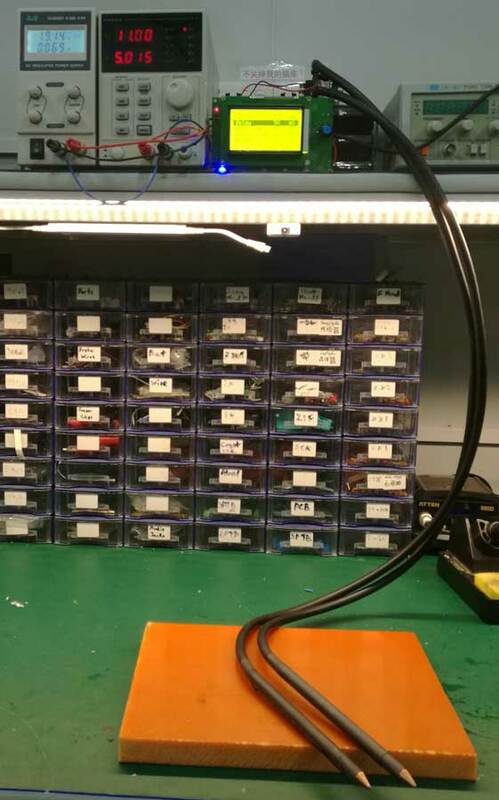 Many consider them the best available source of power for Ebikes and use them exclusively now. Since you have to make packs using dozens or even hundreds of cells, they need to joined together. There are 3 ways I can think of to join them, soldering, tab welding or through compression with springs or other contacts. I’m tempted to add my 2 cents to the ongoing debate over solder vs. welding of cells. I will simply say welding has been adopted by the industry, for whatever reason be it economic or safety or other, and since I want to produce industry quality packs, I’ve chosen to weld packs. I have successfully soldered packs in the past so I know it does work but I’m not expert enough to provide any proof that one is better than the other. It would involve measuring the amount of heat produced and transferred to the battery chemicals and seeing if it affects life or capacity. I will say that done improperly, both welding & considering can both lead to cell rupture so be careful. Don’t add more heat than needed regardless of how you join batteries together. 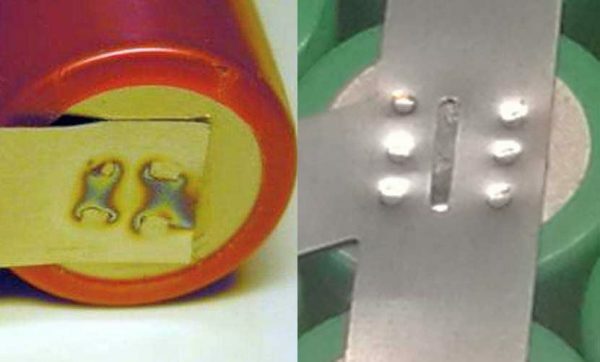 What kind of welding is battery welding? When you hear the term battery welding, what people are referring to is resistance welding. 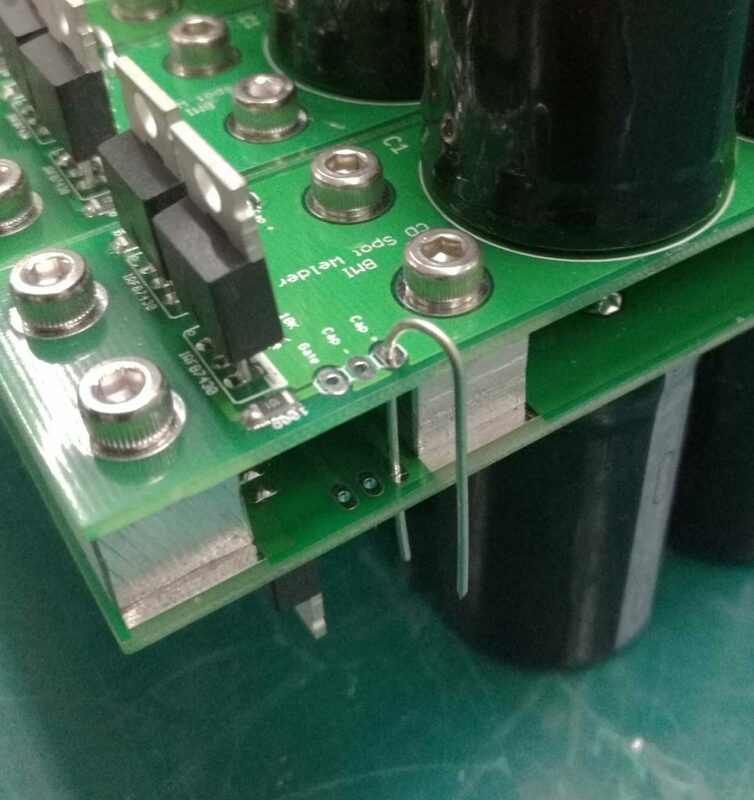 Thin strips (tabs) are placed on top of the battery, current is passed through the tab and battery shell causing a small spot to melt and join together permanently. This is the same type of welding that is used to assemble cars, and many many other things, but on a much smaller scale. 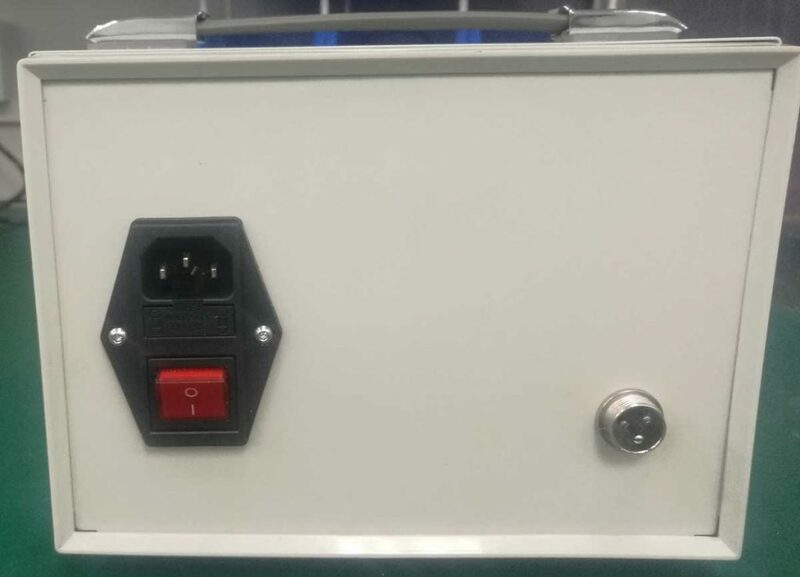 There are two kinds of resistance welding machines that I have built and tested. The first uses a modified microwave transformer to reduce the line voltage and increase current to generate the weld. 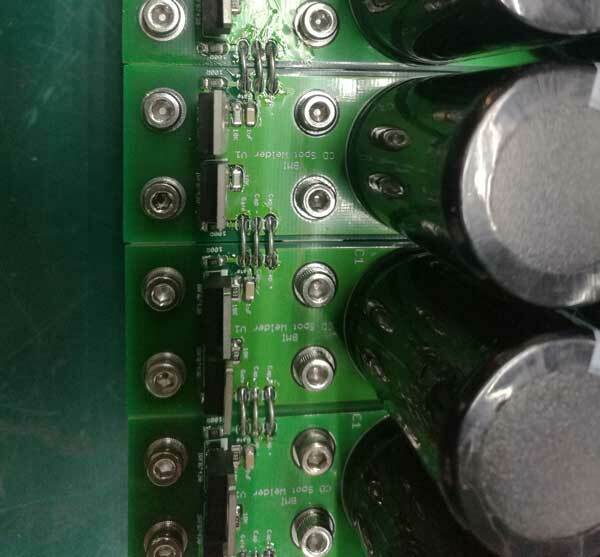 The second stores power in capacitors and then quickly discharges that power through the work to create the weld. There is an excellent design and write up of this type of welder on avdweb.nl. I used this as the starting point for my welder. The description & build instructions of the physical part of this welder are really very good. Take a trip over there and have a look. Very clever use of spring clamps in the welder itself. 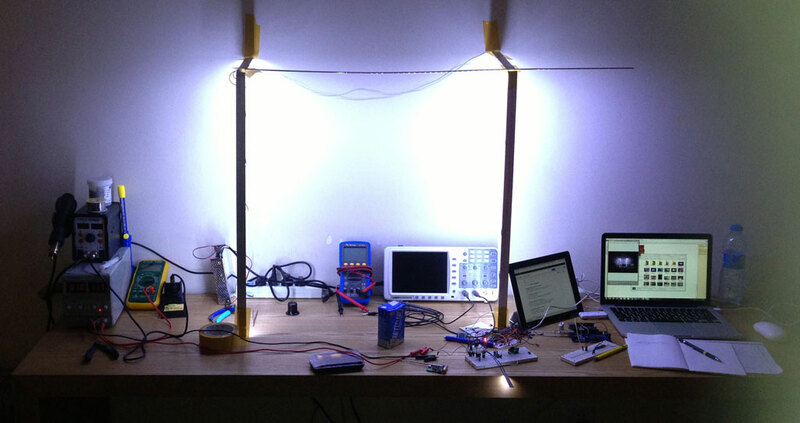 Even if you build another type of power source, this electrode holder setup is nice. I chose this design first because it’s simple. Just turn on/off the power and you get a weld. 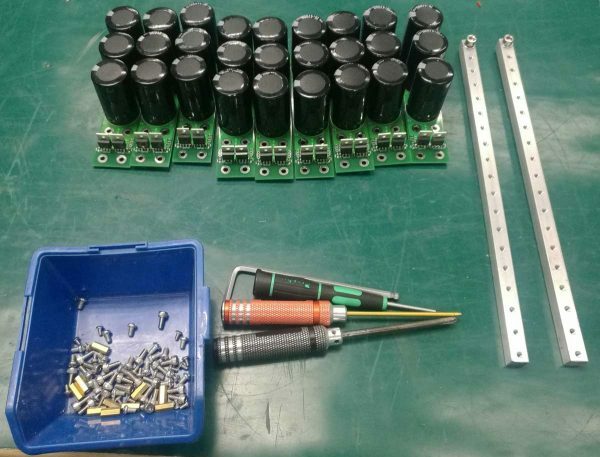 Only basic components needed and microwave transformers are cheap. I paid $10 for a new 1000W microwave transformer. The only part of the build not covered on avdweb.nl is the PCB design. 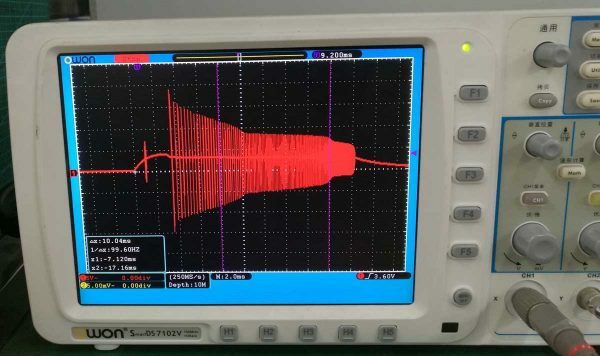 There is a schematic, but PCB. I decided to split the design into a power control board and a welder controller. This allowed me to keep the high voltage and low voltage far apart and split the project into smaller parts, which I like to do. Here is the power board PCB I came up with. The only change I made was around the SCR’s to make the design symmetrical. I looked at a reference design for back to back SCR’s to make the change. I’m pretty sure both ways are fine, but I really like symmetry and couldn’t see how it would hurt.My component choices were based on what was on hand. I had a pile of bridge rectifier so I used one of those instead of individual diodes and I used a very small transformer and there is virtually no power required for the board. It brought the cost of the transformer down to about $1 and I can live with that. The most expensive part of this was the metal project box I put it in. I’m going to skip over the weld controller for now. 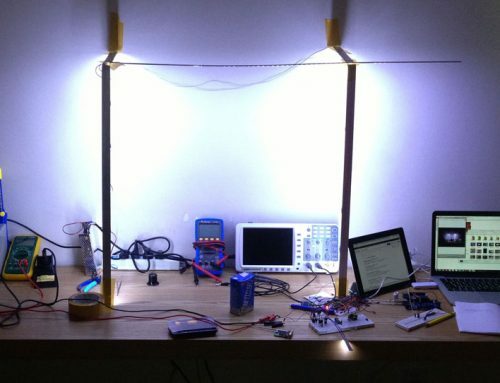 You can simply use an arduino with no modifications. Just plug in a the wires and attach a push button. Done like dinner. Performance. This welder is terrible. I leaves such a large heat affected zone around the weld and welds incredibly slowly. 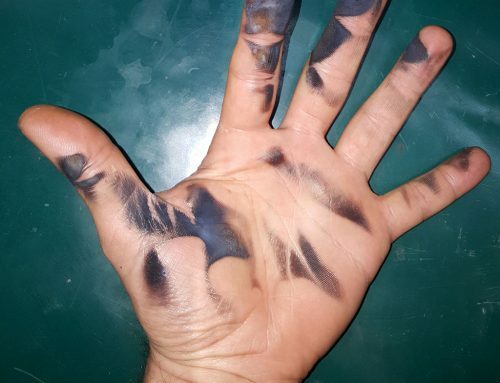 I had a batter rupture on me during testing. Admittedly the weld time was on the high side, but not by a lot. As you weld, you can see the whole weld area get red hot. 500ms is a very long time to be transferring that much heat. I think you are better off soldering than using this type of welder. This is not anything against the specific design, it’s simply the concept that is not best suited to battery tab welding. I have to quantify this, thin tabs will work with this design (0.1mm at most) and who cares if you cook cheap cells a little. I’m using .15mm or 0.2mm tabs high end cells. I need the thickness to handle the current. For my purposes it’s simply not workable. This design relies on having a bunch of capacitors (1-2 farad for this design). You can probably use any capacitors with moderate success. 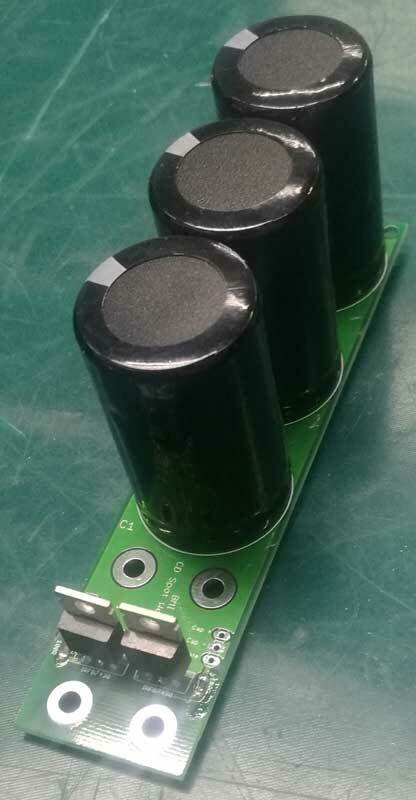 Some welders are made with 1 or more large audio capacitors and others, like the one I chose are designed using many smaller caps. As long as you have the capacity, I think it’s very much the same. I’m not going to get into Low ESR caps vs Audio caps, it’s more technical than needed. 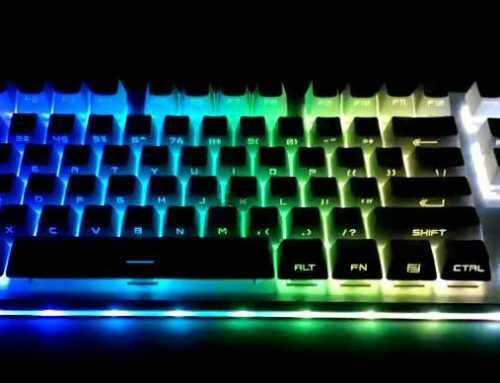 If you know enough to modify the design and not just duplicate, you can decide for yourself on what caps are best for you. For the rest of us, I move forward to the build. 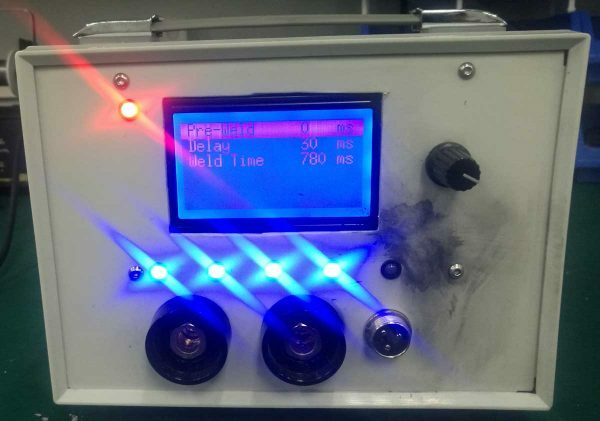 One of the easiest capacitive discharge welders to make is the design from the author of Zeva and he gives full plans including the PCB design. 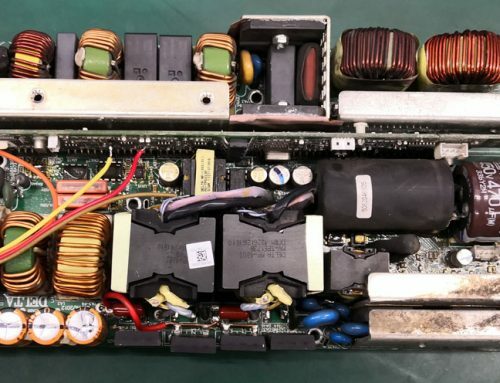 You charge a bank of capacitors with a benchtop/lab power supply (current limited type) and discharge them through some mosfet’s into your work. A simple switch connected to the gate of the mosfet fires the bank of caps. It could be simpler. 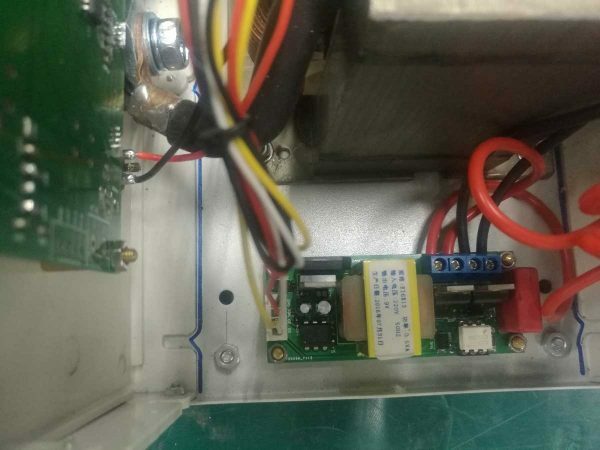 This saves having to make a charging circuit and control doesn’t need any timing because you set the intensity of the weld by setting the voltage of the power supply. 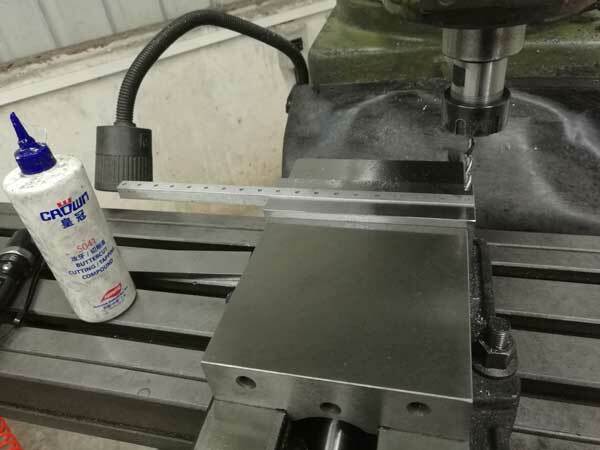 With by setup, 8V will weld thin sheet and 11V welds thicker material very well. I bought used capacitors (Rubycon) for about $0.80 each. The mosfet’s cost about the same. This is also a very inexpensive welder to make, though new caps will set you back at least a couple of dollars each. Since I only weld some of the time, there was very little to be lost from using recycled caps. 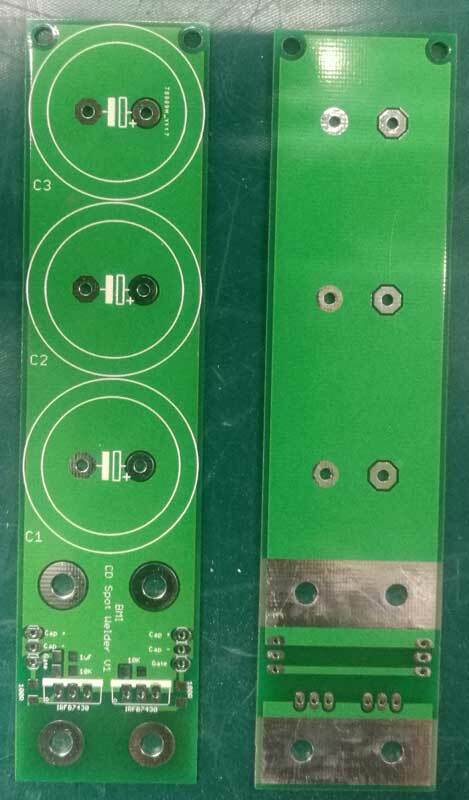 I ordered up the PCB’s virtually unchanged. I extended the ground plane a bit because I thought it looked better, but changes nothing in the operation of the welder. For this build you will need a set of bus bars for connecting the boards together. 12mm square aluminum stock is perfect. If your thinking why didn’t I use copper, it’s because copper is a little tricky to drill. You should change the rake angle on the drill bit so it doesn’t grab and break. I recommend aluminum, it conducts power just fine. I think you need twice the cross sectional area for equivalent current carrying capacity, but due to the short duration of the weld and the the fact that 12×12 aluminum is massive overkill it’s perfect and easy to cut/drill/obtain. I don’t remember seeing plans for the bus bars, but it’s just a straight set of holes on a bar. I did draw one up so here is a link to that. A quick note on hole spacing. I left 0.5mm space between boards. This is plenty if you are using a mill to make the bar. If you are using a drill press, I’d use 1 or even 2mm to allow for the mis aligned holes. 0.2mm off on the hole means the back of the PCB could interfere with another board. It almost sounds like I has this problem before I decided to use the mill. (Shh… don’t tell anyone). Here are the parts needed to assemble the welder. Assembly involves screwing the PCB’s to the bus bars and then soldering jumpers between each of the boards. I decided to use wire jumpers going through 4 boards at a time. Here is a good view of how I installed the jumpers. It’s a bit twiddly to do, but with some practice it’s not so hard. The welder is really great. The welds are consistent and all the heat goes into the weld and not the surrounding metal. I measured the discharge to be on the order of 50ms though most of the discharge is in the first half of that time. 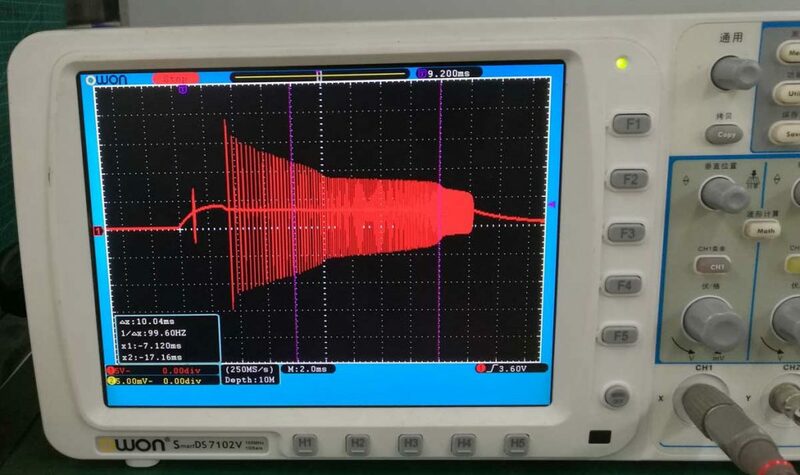 Compare that to a few hundred ms (up to 500ms) for the transformer design. No need to look at the numbers, just compare the welds. 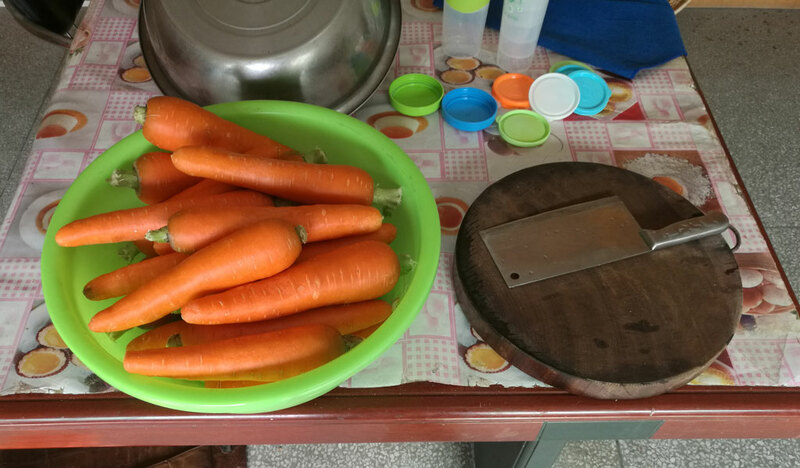 No discoloration vs a virtual rainbow. My welds look a little sunken, this is a repair job and there is a second tab under the first. Weld penetration is 100%. 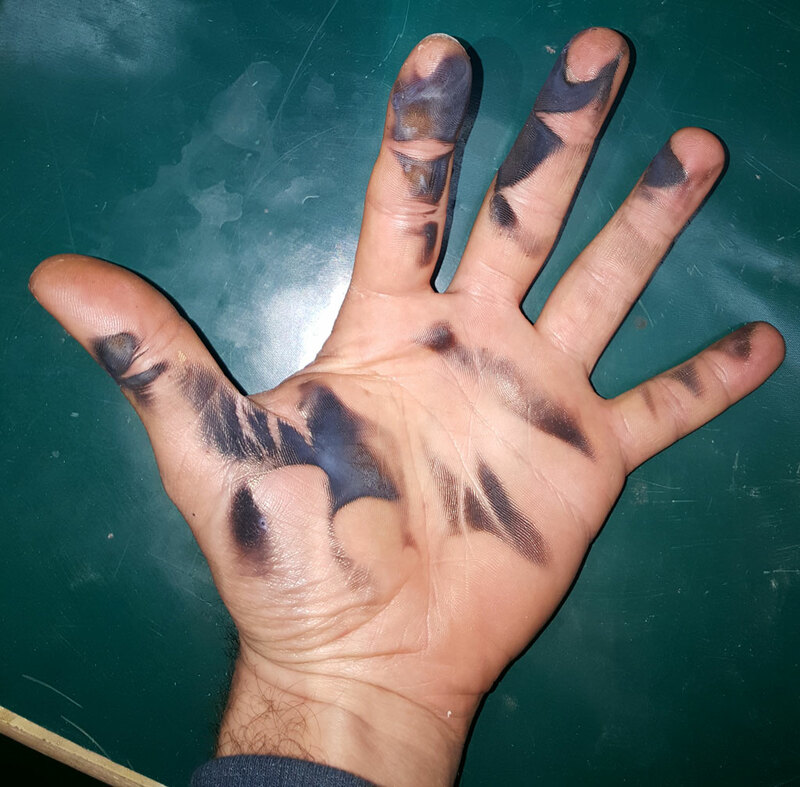 I can’t recommend capacitive discharge welders enough. They produce better welds with less heat affected zone. Capacitive discharge welders are slower (depending on the bench top power supply you have anyway) and mine takes 9s to charge for a weld at 5A. 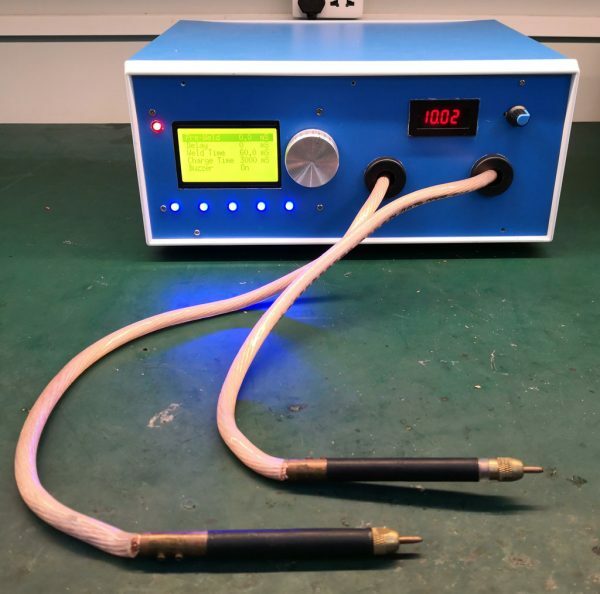 Transformer based welders don’t require any charging time and the above design welds in about 1s (with double pulse and pause). 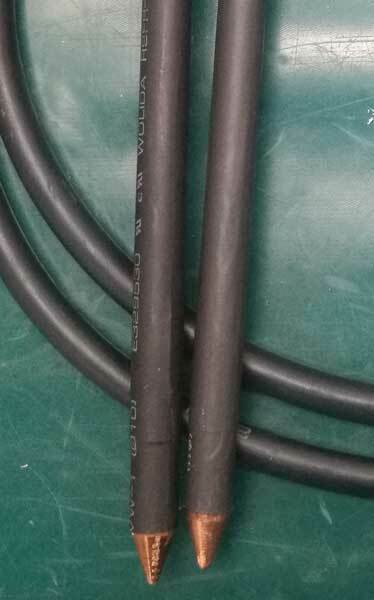 I will look into a higher current power supply, 1-2s per weld would be ideal. Here is a view of the welder on the bench, in a case with integrated power supply and weld controller. Ready to weld. A note on Single vs Double pulse welding. If you split your weld into a small initial pulse, a short pause and then the remaining longer pulse, you in theory get a better weld. I’ve read it’s due to the first pulse bringing the work closer & into better contact with the second pulse actually melting the metal. Single pulse welds give excellent results & I haven’t found the need for double pulse. 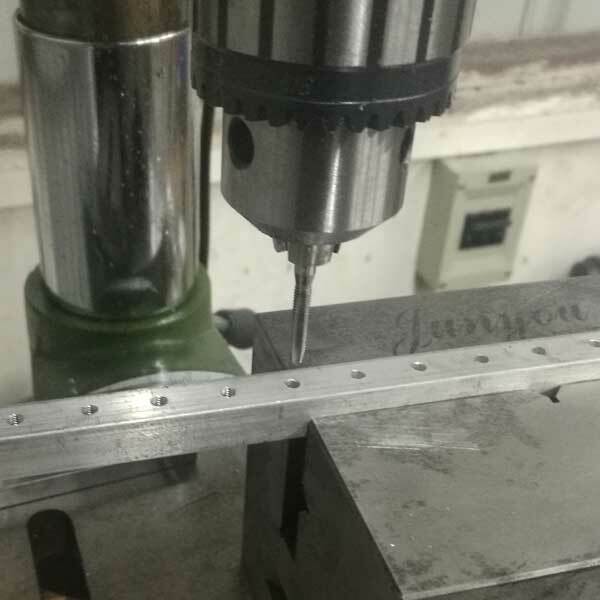 There is a lot of experimentation behind that statement and I think if you simply look at the results of the Zeva V2 welder, you will agree the spots are small and complete bonding did occur. That design is not compatible with double pulsing without some modification. The mosfet gates ring horribly and never shut off so you don’t get the double pulse. I wanted hand held electrodes for my welder, not a welding arm (I may revisit this decision later) so I bought a hand unit you can see below. I also tried plain copper bars with pointed tips that I find give the best results. 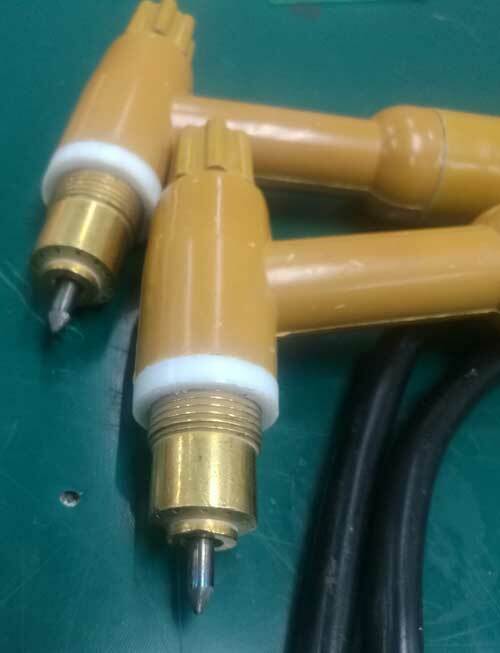 I also tried hooking up a pair of TIG torches to try tungsten electrodes but I find they stick to the material. I must be using the wrong type of tungsten. More research/experimentation is needed. I didn’t go into the weld controller as the Zeva welder doesn’t require it and it needs a post of it’s own to go through the features. I think it could be useful to anyone making any type of battery welder or other project requiring input, buttons and an LCD. 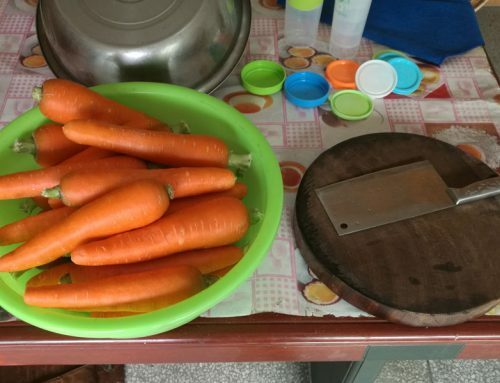 Can drinking carrot juice actually kill you?